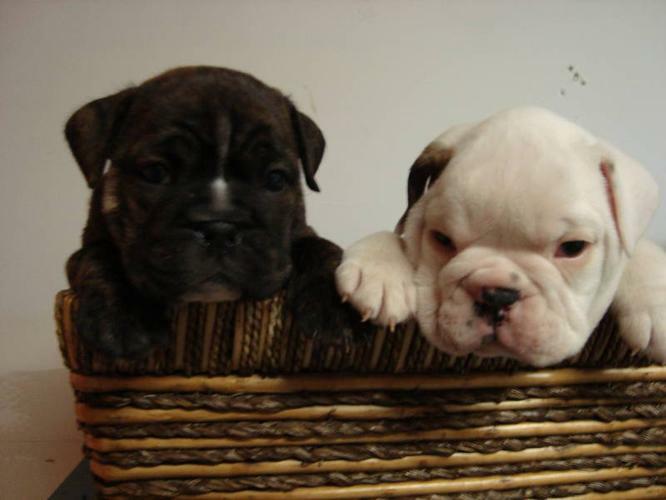 Gorgeous 3/4 English Bulldog puppies. 3 females lef. t Mother is 1/2 Boxer and 1/2 English Bulldog, Father is a beautiful rare AKC registered pure bread BLACK and white English Bulldog. Puppies are ready to go just in time for Valentines Day they have been vet checked and all their shots and deworming are done. These puppies are very quiet, excellent around children and make wonderful pets for anyone. both parents are avaliable to be seen. Purebred English bulldog registered papered GREAT XMAS GIFT!! !